When I decided to join the cross country team in 7th grade, I was aware of the physical pain that accompanies running. But I didn't expect the mental toil would envelop me. Successful workouts and races require a good deal of determination, but the real pain became dealing with accumulated failure. 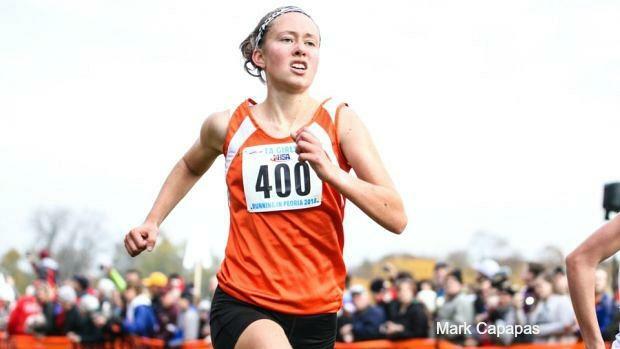 But you know that already because if you follow Illinois distance running, you know Maya Stovall has never won a state title. As it turns out, girls grow into women in high school. This means that while I was investing myself in becoming the next great, my body was transforming. During sophomore year, I like many of my competitors developed hips and gained weight. The hormones and oxygen in my body began to function differently. The only part of this I noticed was the weight gain, which oddly, didn't irk me too much. But after I crossed the finish line a few times during my sophomore year, fighting back tears as I saw the times on the clock, I knew it was slower than I thought it should be, I frantically googled for answers. 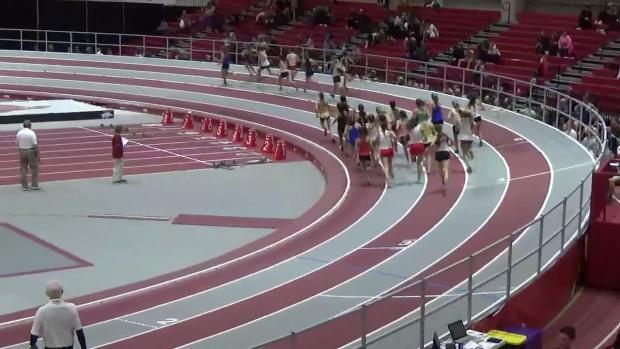 There is not much research on growth and performance in high school female runners. In fact, it took several articles for me to figure out that growth could be negatively affecting my performance. Since then, professional runner Lauren Fleshman released an excellent article on the topic: Read it. No one had warned me that I might encounter this obstacle in my career. No one was able to advise me on what it would be like and if I could do anything about it. Instead, I was told the linear male narrative: work hard, and you'll get better; the winners are the ones who put in the most miles. 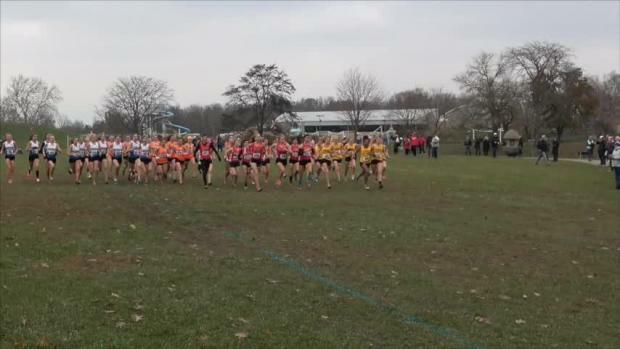 The information on the impact of growth on female high school distance runners on the internet is largely negative. The growth period has been described as a "cruel twist," and "an uphill battle," and "a decline" and "running against the clock." The articles and personal accounts I read sent me cowering over my iPad with tears blotching out the screen. Three years of something that made me so gratified and alive and my fate was to be a "cruel" slowdown? I plateaued through the sophomore cross country and yoyoed through track season but continued to believe in myself and my dreams and my hard work. I still felt confident that my body would even out, and I would speed up because I knew I didn't have an iron deficiency and have avoided eating disorders and stress fractures. And anyway, I wouldn't be a competitive dream chaser if I didn't hope. Junior year fulfilled none of those hopes and dreams. Instead, my performance, confidence, and passion took a major plummet further down. Until it hit rock bottom, the point where everything felt shattered. A big part of me didn't want to climb out of the hole. I considered walking away and finding a different passion to dedicate my life to. Ultimately, I convinced myself to train again because I needed the exercise for my health and mood, and besides, I was a team captain. And, maybe, if the sport had made me happy once, I could find that joy again. So I tentatively tried again, running only for the things I listed above, not out of any expectations that I would get faster. But my season didn't start too badly. I surprised myself a bit and really started to love my teammates and, yes, even the sport itself again. I lined up at state excited but desperately hoping I would PR and that it wouldn't be my freshman time that lived past my career on the school record board. And guess what? I blew myself away that day. I dropped 40 seconds off my season best and 24 from my PR. As it turned out, I had needed to let my body grow to reach my potential. 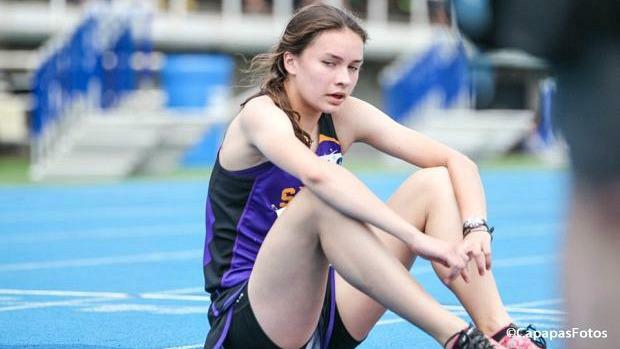 For two years, I seemed to be that girl who would never perform as a woman, the one who was experiencing the "cruel twist" in her career and would never be the athlete she once was. I was the crazy horror story that I once feared I would become. But those two years ended up being the best investment in myself I could make. Not only did I get faster afterward because I persevered while my body was changing, but the strength and mental endurance I gained from dealing with failure have made me incredibly bold and confident. Now, I am happier in my sport and don't take anything for granted. The media was wrong, and it needs to shift its narrative on growth in high school girls. We need to realize that while we may encounter slumps, periods of declined performance don't necessarily mean a failed career, they mean we are growing into faster and stronger people.